For healthcare providers it is important to remember that globalisation is here to stay. The global market place continues to be a test for healthcare providers. 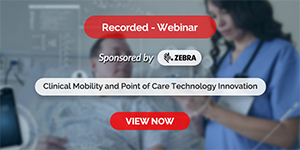 The technology boom, combined with trends such as rising costs, shortage of healthcare professionals, growing consumerism and a greater than ever focus on patient safety have meant that providers are in a seemingly endless cycle of adaptation. Like in other industries, globalisation brought with it opportunities and challenges for healthcare. The opportunity came in the form of a global market place to tap into, and the challenge involved reaching standards acceptable at the global level. As simple as it sounds, this has been anything but easy. In other words, the global opportunity came with global competition—and a need for level playing field. However, if the disparities that exist in global healthcare are anything to go by, globalisation of healthcare has a long way to go before it achieves its goal of healthcare for all. This is especially true for countries like India that are essentially playing catch-up with their western counterparts. While they have done a good job of attracting foreign patients to its shores, Indian hospitals and government face the challenge of bringing healthcare to the remote and poor parts of the country. The developed countries have their own set of worries. Ever changing technology, while enabling better care, has also resulted in growing operating costs. The Internet has made huge amounts of information to the consumers, thereby making them aware of their options and more demanding of quality services. They are also more global in their outlook and don’t mind travelling a few thousand miles for getting similar—if not better—care at considerably lower costs. Standardising exchange of information across the globe is the need of the hour. The existing standards present varying levels of complexity depending on which part of the world you come from. Interoperability at a global level may not be easy to achieve, but without it a truly global healthcare may never take shape. The blurring international borders are a boon for the consumer and a challenge for the governments and healthcare providers around the world. In this issue's cover story we present these and other challenges facing the world of healthcare. Whether globalisation should be blamed for complicating the healthcare scenario or credited with standardisation of various elements of healthcare is debatable, but the truth that remains is this: it is here to say and in the years to come will continue to present challenges and opportunities for care providers around the world.